QUICK JUMP: Contestants Pageant Information How to compete in BEAUTIES OF 5 CONTINENTS 2018? Unmarried women age 26-39 are invited to hold a regional / state title with International Ms. The international competition will take place Sept 4-7, 2016 in New York City surrounding the Labor Day holiday and New York Fashion Week. Competition components include 40% interview, as well as photogenic, multimedia, runway, swimwear and gown. Managed by 2011 Ms. United States and National Director of Miss Earth United States, Laura Clark aims to provide a mature, classy and quality experience to each delegate. Network with like-minded successful women while bringing attention to your business and/or cause. The winner receives a $5,000 grant to benefit her non-profit or business. 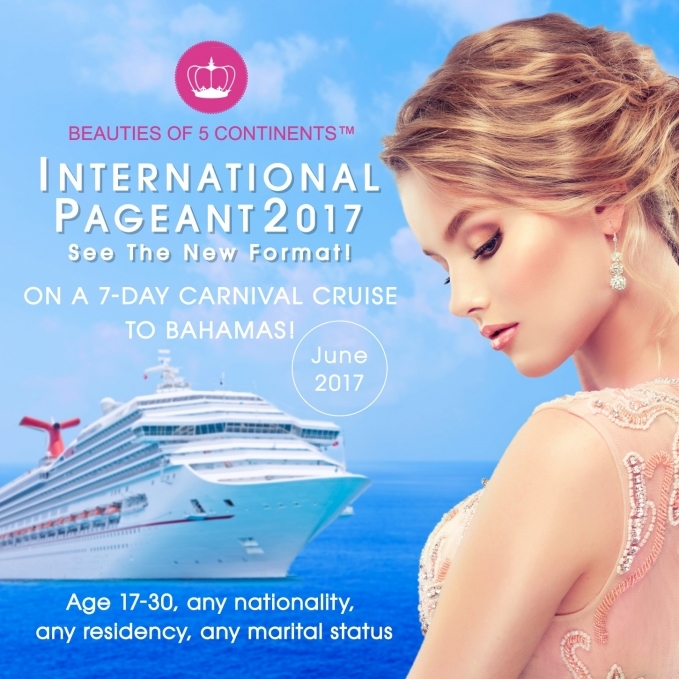 How to compete in BEAUTIES OF 5 CONTINENTS?